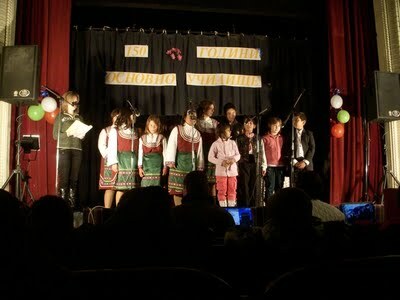 The other day the children from the school presented a performance of the culture of Bulgaria. Here are a few pictures. 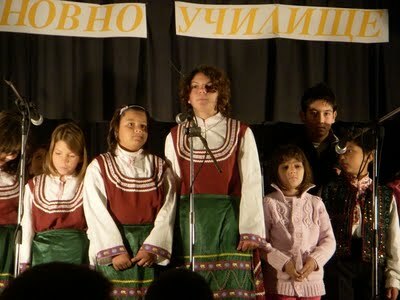 The cultural aspects of Bulgaria goes back to folklore. The style of dress and music is always the predominant feature. The family I am good friends with, their youngest daughter of the family preformed amongst the other kids in the old Soviet building on the road to Istanbul, which denotes the center of the village; the small library is within this building with the DSL. Within a certain perplexing position there is a strong sense of community, but then on the other hand many of these people hate each other that is clearly noticeable from the difference in energy from person to person. The family of girls avoid certain people in the village, they are positive girls that understand the importance of avoiding negativity. I mentioned previously that the energy is transmutable and the undercurrent is afflicted with a negative value. Certain days this village is a great place to live, according to my perception within that moment. The rhythm is certainly slow, the food store is just down the street, while walking down the street to the library or food store I always see someone I know. The acquainted family of girls are very nice and positive. And, my immediate neighbors are pleasant. On the other hand, some days the energy within the streets is overcome with a strange level of pessimism, and cynicism that causes an atmospheric entrainment of despondency. My dwelling area resides positive energy, and the strange energy that did exist transmuted. But outside the gate into the street presents itself as peculiar. Many cultures such as the Mediterranean cultures express a closer level of physical contact that entails kissing each other on the cheek as a greeting and farewell. Predominantly, the English speaking countries are observed as distant and in need of space. Certainly, America, Canada, Australia, and the British display a distant nature. However, my good friends in California and I exchanged hugs, this was automatic with my female friends. My experience so far is that the Bulgaria culture is very distant. And, a sentimental nature is nil. 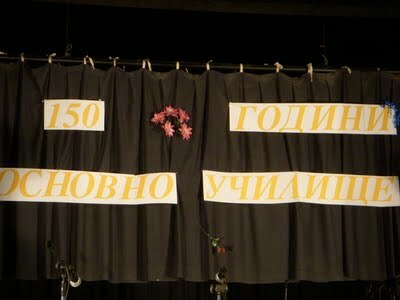 Considering the overly emotional nature of sentiments in America, I don’t mind the lack of sentiments here in Bulgaria. An imbalanced level of sediments caused from an overly sympathetic disposition that only leads to grief and sorrow. Next post: More Bulgaria and Lou Dobbs. Previous post: A Positive Routine—The Meridian Clock.